Sagely Relief & Recovery Spray may help tired, stressed, or fatigued muscles and joints. Dries quickly. 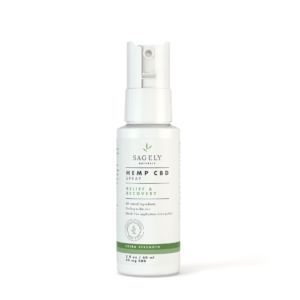 Packed with CBD, essential oils, along with cooling menthol. All natural ingredients. Their original formula was created by PhD chemists. 2oz size with 50mg per bottle.